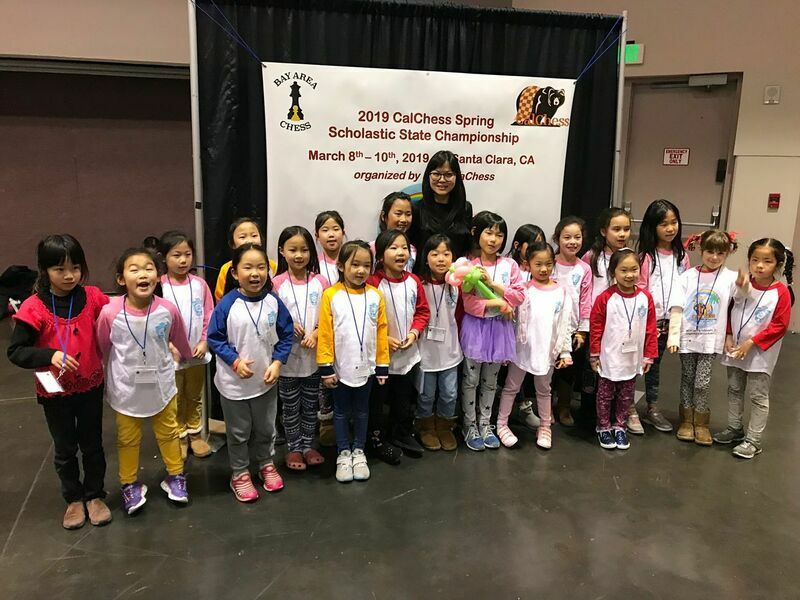 KLC offers full day camps and half day intensive chess camps -- Spring Camps, Summer Camps, Winter Camps, Tournament Preparation Camps and Grandmaster Camps. We welcome any child of 5 years to 16 years to attend the camps. The program includes Chess Rules, Chess Strategy, Chess Tactics, Bughouse Game, Simultaneous and Chess tournament. 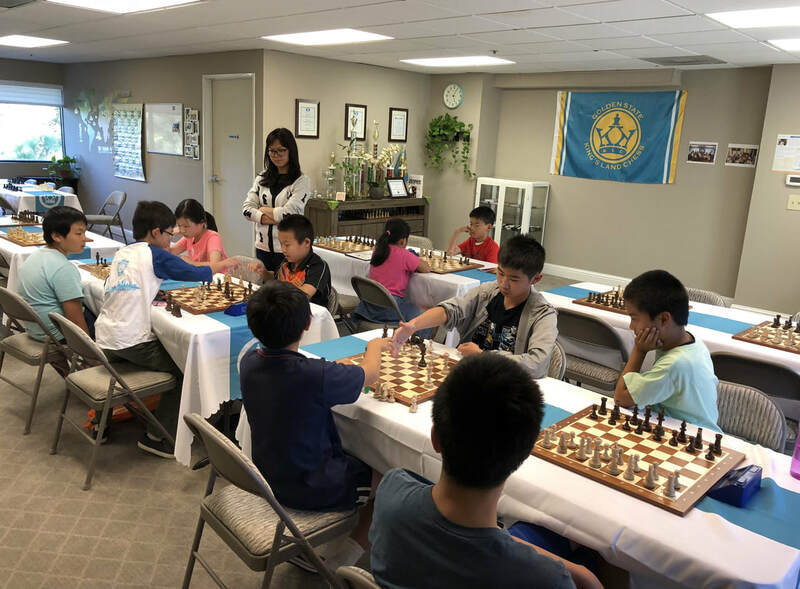 ​2019 KLC Summer Chess Camps will be held from June to July for the dates listed below. ​New material will be presented for each camp. 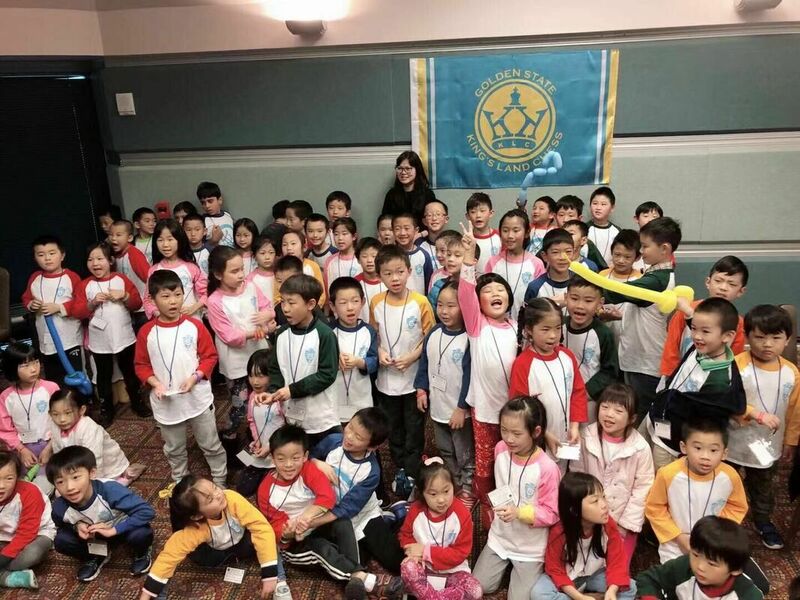 Camp will be instructed by World Chess Federation FIDE Trainer Kiki Chen and National Instructor Leo Liu. Please find the camp detail information below. New materials will be presented for each camp. The Camp will be Instructed by GM Bu Xiangzhi and FIDE Trainer Kiki Chen. Whole day camp is 8:30-4:30. ​Half day camp is 8:30-12:00 or 1:00-4:30. (8:00 drop off, 5:00 pickup if needed). 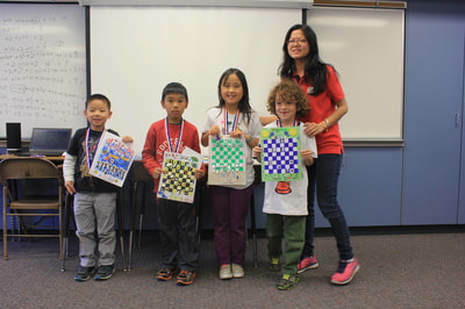 ​2019 KLCSummer Chess Camps now open for registration! 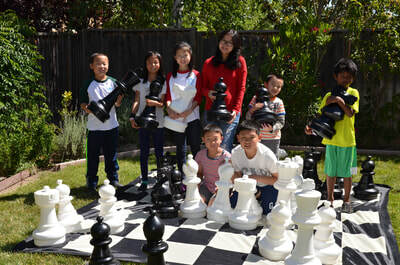 ​Click here to sign up chess camps or send email to kingslandchess@hotmail.com or contact coach Kiki wechat​. 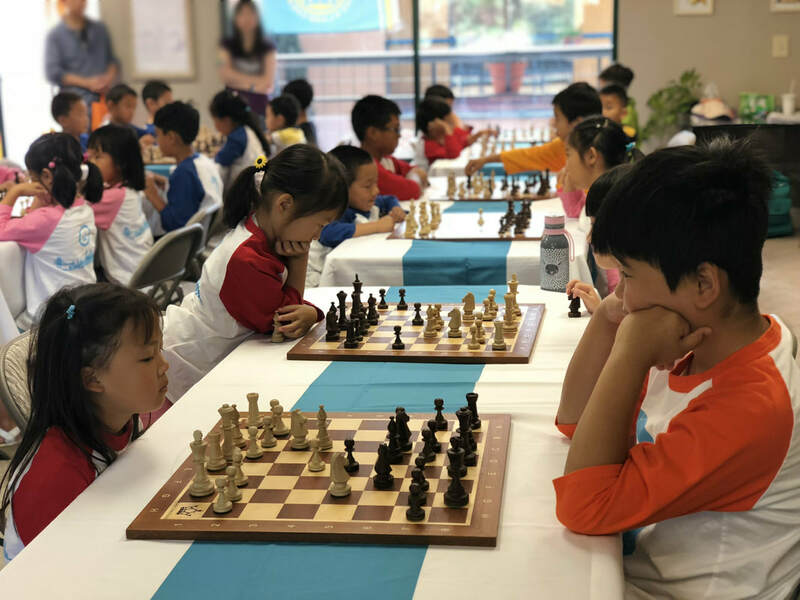 2019 KLC Grandmaster Chess Camp will be held July 15 - 19 (by invitation only). When: There are Whole Day and Half Day options. Whole day camp is 8:30-4:30. Half day camp is 8:30-12:00 or 1:00-4:30. (8:00 drop off, 5:00 pickup if needed). Camp Fee: Whole day camp is $799. Half day camp is $499. Fees include registration fee, materials, prizes, and snacks. Whole day camp includes lunch. 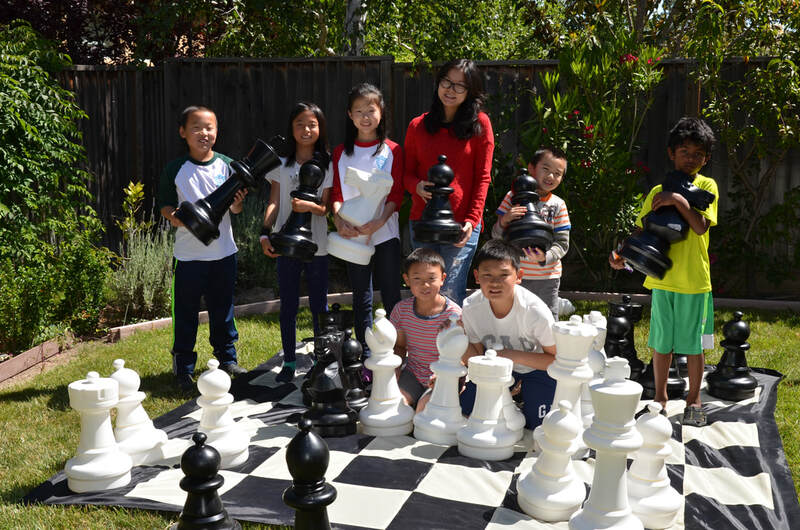 ​We offer HALF DAY and WHOLE DAY chess camps. Half day camps are 8:30 - 12:00 and 1:00 - 4:30, whole day camps are 8:30 - 4:00 (8:00 drop off, 4:30 pick up if needed). Camp will be held for the following dates; new materials will be presented for each camp. New beginners with no chess knowledge are welcome to join us in Week 1 and Week 6. Camp Fee: Half day camp is $330. Whole day camp is $580. 5% Early Bird discount by 4/15. Fees include registration fee, training materials, prizes, trophies, and snacks. Whole day camps include lunch. 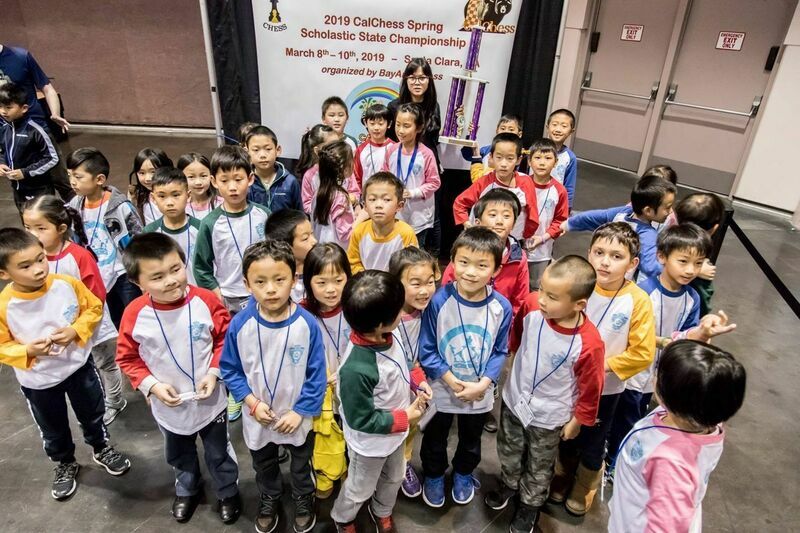 ​Camps will be instructed by World Chess Federation FIDE Trainer Kiki Chen and National Instructor Leo Liu. Chess Tactics, Bughouse Game, Simultaneous and Chess tournament. ​Bughouse Game, Simultaneous and Chess tournament. Free Cancellation made up to 5 days prior to camp start date. Cancellations request received with less than 5 days prior to the camp, will receive 80% refund. Cancellation request done on or after the first camp date is not entitled to any refund. "Sick Child "Cancellation is subject to a pro-rated refund minus $25 administrative fee; an official doctor's note may be requested. Camp schedule change requests made prior to the camp start date will be accommodated, if availability permits. Those who wish to reduce from full day to half-day or reduce the number of weeks will need to refer to the cancellation policy listed above. In case KLC needs to cancel the camps, we'll process a 100% refund to you immediately. We reserve the right to cancel camps 3 days prior to the starting date, so by Friday 8 AM in case of 6 or less registered campers. Per our policy, we cannot just leave the children at the camp sites by themselves. Coaches need to supervise them at all times. The late pick up has really caused an inconvenience to the teachers. So we offer the early drop-off and late pick-up. It will be $10.00 per day for early drop-off 8:00-8:30am and $15.00 per day for late pick-up 4:00-5:00pm. Any questions that you can't find the answers? Please contact us and we'll get back to you! USCF Advanced Level coach. She was the captain of China national youth team, with title of Chess Master of CCA. *There will be homework after each day. Homework need to be turned in at the lesson in the following day. * The course will be taught in English.